Abstract: This talk will begin by describing the emergent concept of food justice, which is found at the nexus of inequalities and food and agricultural systems. It will lay out some of the guiding questions and theoretical antecedents that have helped to define the field. 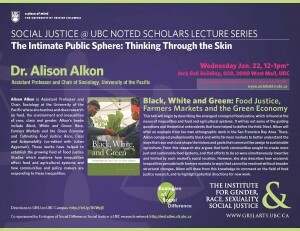 Next, Alkon will offer an example from her own ethnographic work in the San Francisco Bay Area. There, Alkon compared predominantly black and white farmers markets to better understand the ways that race and class shape the visions and goals that communities assign to sustainable agriculture. 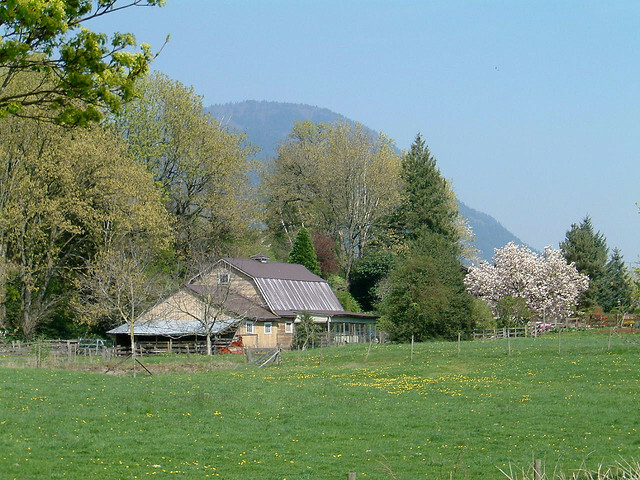 From this research she argues that both communities sought to create more just and sustainable food systems, and that efforts to do so were simultaneously inventive and limited by each market’s social location. However, she also describes how economic inequalities pervade both farmers markets in ways that cannot be resolved without broader structural changes. Alkon will draw from this knowledge to comment on the field of food justice research, and to highlight potential directions for new work. Bio: Alison Alkon is Assistant Professor and Chair, Sociology at the University of the Pacific where she teaches and does research on food, the environment and inequalities of race, class and gender. 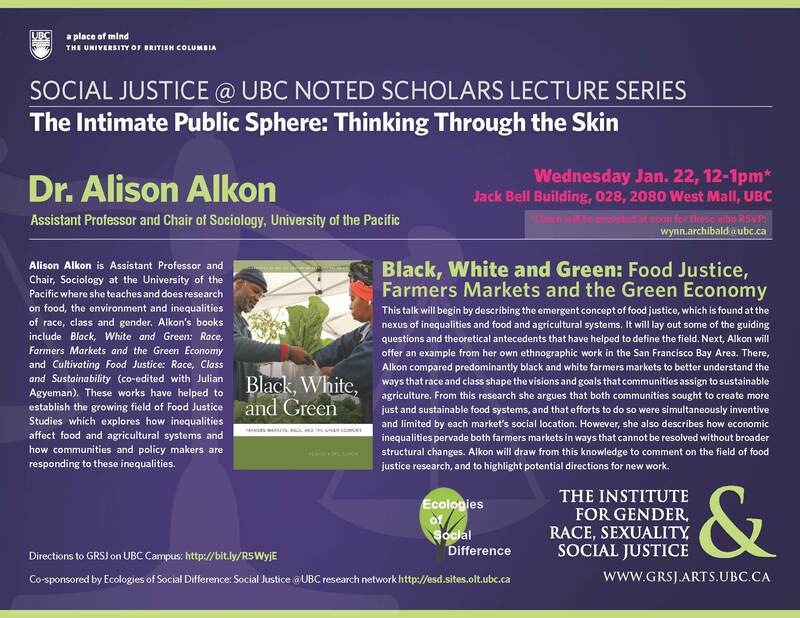 Alkon’s books include Black, White and Green: Race, Farmers Markets and the Green Economy and Cultivating Food Justice: Race, Class and Sustainability (co-edited with Julian Agyeman). These works have helped to establish the growing field of Food Justice Studies which explores how inequalities affect food and agricultural systems and how communities and policy makers are responding to these inequalities. Posted in Events, Latest News and tagged events, islfs, sociology on January 13, 2014 by lfsgradmgr.